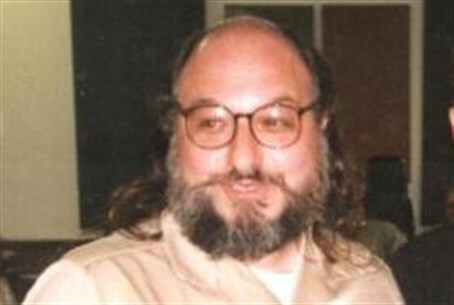 Anti-Defamation League (ADL) Chairman Abraham Foxman was quoted by Maariv Tuesday as having called the US's refusal to release Jonathan Pollard as a form of "revenge" against the American Jewish community. According to the daily, Foxman revealed in a Tablet interview that his personal views on the Pollard case have changed over the years, after US officials in the last government publicly stated that the Israeli spy's punishment is "unjust." "When Pollard's case first became public 28 years ago, there were those who believed that his punishment - life imprisonment - was rife with anti-Semitism," Foxman explained. "We at the ADL took the accusation very seriously, launched our own investigation, and concluded that no anti-Semitism was involved in the sentence whatsoever." "Calls to release the prisoner escalated, but they fell on deaf ears," Foxman continued, noting that by this time, there was no reason to continue holding Pollard. "It became clear to everyone that the US had nothing to gain from Pollard, that he had no new information from him that could advance American interests." "The fact that Pollard has shared information with US's ally Israel justifies punishment," he qualified, "but not such a long imprisonment, and the fact that information was passed to such a close ally garners the need for a more positive response to calls for his early release." Foxman went on to say that he does not want to compare the actions of Pollard as someone who "betrayed his country" with the recent revelations about wiretapping and surveillance carried out by US intelligence against Israeli leaders. "However, these discoveries add more context to the absurd ongoing revenge against one man," he noted. "Yes, I use that word (revenge) because that is what it seems like at this stage," he continued. "If it was only a vendetta against one man it was bad enough. But it has now become a campaign against the entire American Jewish community," Foxman accused. 'Imprisonment of one person for so long who should have been released on humanitarian grounds symbolizes the American [government's] effort to scare the American Jewish community," Foxman stated, "and are based on anti-Semitic myths about American Jewry." Foxman also cited a Zionist Organization of America poll released Monday which shows that the American public largely supports Israel, and shows a distinct contrast between the will of US leaders and the will of the American people. Pollard has been subject of a high-profile campaign for his release, after being held in the US for more than 28 years on spying allegations. He was arrested by FBI agents in 1985 and held in jail since. While numerous efforts have been made to secure his release over the intervening decades, calls for his freedom have resurfaced since it was revealed last month that the US and UK have been spying on top Israeli officials, including the Prime Minister. Pollard was arrested on charges far less serious, critics noted, and slammed the Obama administration for "hypocrisy." The calls for Pollard's release have gained so much support across party lines that over 106 MKs attended a special Knesset session to protest Obama's refusal to release the prisoner, and signed a petition urging the President to reconsider.